Provide comfort for the family of Jewel "Warren" Massey with a meaningful gesture of sympathy. 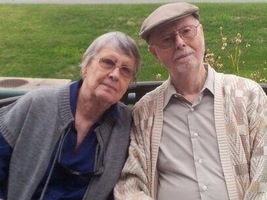 Jewel Warren Massey, Jr., 87, passed away Feb. 25, 2019 at Delmar Gardens of Lenexa. Visitation will be Sat., March 30 at 10:00 am at Bruce Funeral Home in Spring Hill, KS (913) 592-2244. A Celebration of Life follows at 11:00 am. Private inurnment will occur at a later date at Memorial Park Cemetery in Chanute, KS. Memorial contributions may be made to The Alzheimer’s Association or the William Baker Festival Singers. Condolences may be left at www.brucefuneralhome.com. Warren Massey was born Oct. 3, 1931 in Manhattan, KS to Jewel Warren Massey Sr. and Pauline Stewart Massey. He spent much of his early life in Chanute, KS, and achieved the rank of Eagle Scout in the Boy Scouts. He graduated from Chanute High School in 1949 and earned a Bachelor of Science from Kansas State Teacher’s College (now Emporia State University). 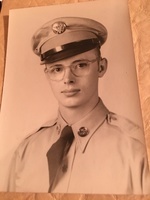 Warren served in the US Army after college and was stationed in Stuttgart, Germany where he played French horn in the 7th Army Band. He returned from the Army and married Mary E. Starling in Emporia on June 24, 1956. Warren taught music in public schools across Kansas for 11 years. He earned a Masters Degree in Music Education from the University of Kansas in 1959. In 1966, Warren and Mary moved their family to Mission, KS, where he worked for the Social Security Administration in Kansas City, MO for 30 years until his retirement in 1996. Outside of work, Warren was a passionate and dedicated musician. He sang, composed, and arranged music for numerous churches and community groups, including College Hill United Methodist Church (Wichita, KS), Old Mission United Methodist Church (Fairway, KS), the Heart of America SPEBSQA (Barbershop) Chorus, St. Andrews Episcopal Church (Kansas City, MO), Civic Opera Theater of Kansas City (Meistersingers), William Baker Festival Singers, and William Baker Summer Singers. He also was the assistant director and treasurer of the Social Security Administration choral group, which performed throughout the Kansas City area. Warren was preceded in death by his parents and his sister, Sara Lynn Massey. 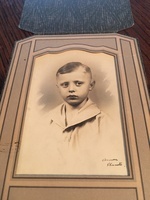 He is survived by his wife Mary and three daughters, Jan Duncan (Terry), Spring Hill, KS, Marcia Cline (John), Lenexa, KS and Liz Massey (Jackie Reader), Fredericksburg, VA; two grandchildren: Shannon Bruce and Matthew Cline and two great-grandchildren. We encourage you to share your most beloved memories of Jewel "Warren" here, so that the family and other loved ones can always see it. You can upload cherished photographs, or share your favorite stories, and can even comment on those shared by others. Provide comfort for the family of Jewel "Warren" Massey Jr. by sending flowers. I'm sorry for your family's loss. You're in my thoughts every day.